Rena Mach 6 takes Memjet Technology to the next level! Mach 5 users had some suggestions for the next generation of printers, they got it and more! Users wanted a display/control panel, they got it! A 7″ color touchscreen display. Rena Mach 5 users wanted the ability to run thicker material with fewer jams. Check! The Mach 6 handles material up to 3/8″ or 10 mm. The redesigned paper path that is flatter for smoother feeding. It seems like it was just a few months ago we posted Introducing the Rena Mach 5 1600 dpi Color Addressing System! 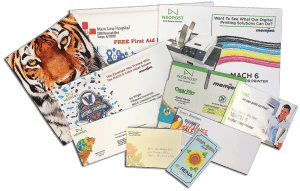 Nothing produces a colorful mailing that will get noticed like the Mach 6! And not just on standard envelopes. Try padded envelopes, coin packets, high gloss postcards, 10 by 13 envelopes and more. Watch the Mach 6 sample video at the bottom of this page to see a sample of the amazing jobs you can produce in vivid color. Enhance the performance of the MACH 6 by pairing the printer with the optional mColor RIP & Workflow software to deliver the color consistency and accuracy required by creative and production-oriented users. 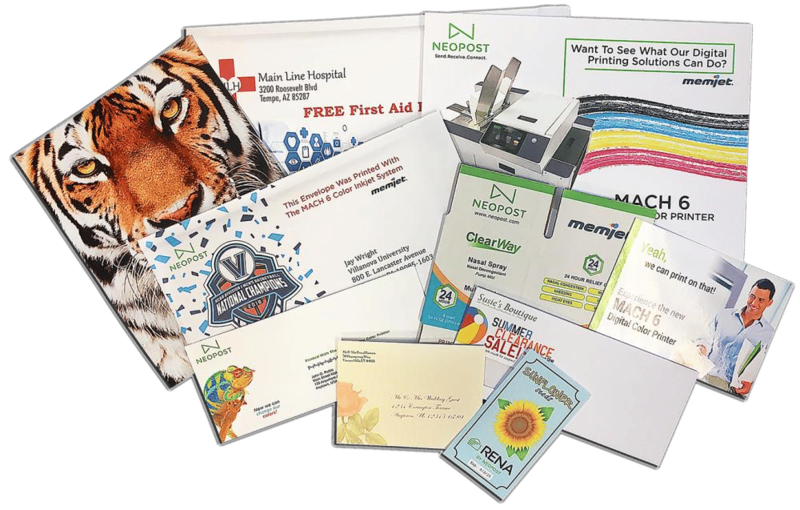 After printing insert with a folder inserter or if you just need to seel the envelopes check out our envelope sealers.